Dont forget that Crossroads Care offer support to all carers regardless of the specific condition. Tel: 663676 for Alcoholics Anonymous – There are seven meetings a week around the island and each month there is an open meeting for anyone, including family and friends who may know someone with a problem with alcohol, to attend to find out more about the organisation. For children in full-time education with sight problems there is a Visual Impairment Support Service provided by the Department of Education and Children. Tel: 686895 for more information. Acoustic Shooting, a sport suitable for the visually impaired, takes place on a regular basis. For more information tel:674727. The children in school with visual impairments are supported by the Isle of Man Department of Education and Children’s Visual Impairment Support Service, staffed by teachers who also hold additional qualifications in teaching visually impaired students. The Manx Deaf Society looks after the interest of deaf people. Tel: 202875 or email Lucy Buxton, Communication and Support Manager at iomdeafsociety@gmail.com for more information. Hearing aids can be available through the Audiology clinic after a hearing test that indicated that a hearing aid is needed. Tel: 650407 for general enquiries. The audiology clinic has set up a self-referral scheme for people aged 50 or over which links in with the hearing aid clinic. For sufferers of depression, the Mental Health Service have a useful leaflet helping you to understand this condition. At the back is a list of other contact points such as the Crisis Response and Home Treatment Team tel: 642860, Samaritans, tel:663399, CALM, a helpline for young men who are depressed or suicidal tel: 0800 585858 (open daily 5pm-midnight), Service Users Network tel: 457756 and other useful contacts. The Older Persons Mental Health Service provides assessment, diagnosis, treatment and support to clients with “functional” disorders such as depression and anxiety, schizophrenia and bi-polar disorder, as well as mild cognitive impaiment and dementia. They have a multidisciplinary team who liaise with acute inpatient wards, nursing and residential homes and the elderly mentally infirm units on the Island. However, a major part of their role is to promote independence at home and a large part of their work is to offer comprehensive assessments for people with memory problems. If you would like a copy of your appointment sent to your carer (so you don’t forget it) you can request this when the nurse visits you. Brahma Kumaris offer meditation and relaxation opportunities without charge at 20, Appledene Court, Woodlands View, IM2 2BU. 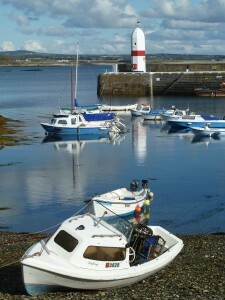 See www.brahmakumaris.org/uk/whatson and put Isle of Man in the location choice to find the programme of courses. For equipment , check out the equipment section on this website. Lloyds Pharmacies are now stocking equipment designed specially for Alzheimers sufferers. Mobility walking aids are available through the Physiotherapy Service.This service can be accessed via your GP, other health professionals or you can fill in a self-referral form. For general enquiries ring Tel: 642158. The Independent Living Centre, Level 1, Community Health Centre, Ballakermeen Road, Douglas, IM1 4BR provides advice and suppliers details on aids and equipment from the NHS and private businesses. Open Wednesdays 10am-2.30pm. For appointments at other times tel: 642561. The Continence Advisor advises on the most suitable approach to a continence issue. Supplies are delivered to the home. Tel: 693551 for more information. Sailing for the Disabled: Provides sailing opportunities for people with a wide range of disabilities on a modern large cruising yacht which has special adaptions to assist those less mobile. Membership is available to those with disabilities and also to helpers without. Also provides sailing to organisations and groups who assist people with disabilities. The Childrens Centre – The Community Farm provides a nurturing and educational environment, helping people grow whilst reconnecting with the countryside. The Farm is open to the Islands community and offers an increasing range of services to meet the communities need. Currently, children from primary schools follow a programme that links to and enriches the curriculum and they learn how to grow their own produce. Young people from secondary schools work in small groups to improve social and communication skills whilst learning and developing new skills and knowledge. Isle of Man Cripples Guild. All referrals are by Medical Practitioners. Drop in days are the 4th Tuesday of the month in either the Palace Hotel or the Mount Murray Golf Club. The Childrens Centre operates The Community Farm provides a nurturing and educational environment, helping people grow whilst reconnecting with the countryside. The Farm is open to the Islands community and offers an increasing range of services to meet the communities need. Currently, children from primary schools follow a programme that links to and enriches the curriculum and they learn how to grow their own produce. Young people from secondary schools work in small groups to improve social and communication skills whilst learning and developing new skills and knowledge. Mobility walking aids are available through the Physiotherapy Service. This service can be accessed via your GP, other health professionals or you can fill in a self-referral form. For general enquiries ring Tel: 642158. Stroke UK (otherwise known as Stroke Association) have a contract to provide Stroke Recovery Service Coordinator cover until 2022 on the Isle of Man to ensure that all care needed is in place to make an optimum recovery from stroke.